Back acne occurs as a result of sebum clogging the skin’s pores. Lemon, Tree Oil, Fenugreek, and Garlic can help you treat back acne at home. Back has larger pores than facial skin, making it difficult to manage breakputs. Check with your doctor if you find it difficult to control. Acne, a skin condition caused by over production of sebum oil, can affect various parts of your body other than your face, like your back, chest or neck. Acne is a medical condition which lubricates the skin and hair. Back acne, body acne or bacne is almost similar to facial acne in its signs. Like acne on the face, back acne occurs as a result of sebum clogging the skin’s pores. There are many things that one can do at home to get rid of acne from the inside out. One can use lemon juice as a cleanser diluted with water or just place lemon juice on a cotton ball. The alpha hydroxy acids in lemon juice help get rid of dead skin cells besides cleansing of pores. Also, lemon juice contributes to new skin cell growth. Tea tree oil can be used as a disinfectant to kill bacteria in the skin pores. Dilute tea tree oil with water and apply the mixture to infected skin in order to kill bacteria. Make sure you use it with water or a product that is already diluted, as pure oil can irritate the skin. 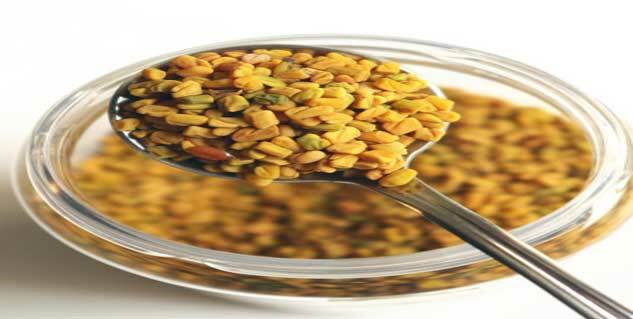 You can fight acne with fenugreek. You have to crush fenugreek leaves and make a paste of it. Apply the topical paste and keep it for at least 30 minutes. Another way to use fenugreek to fight acne in and out is using water boiled with fenugreek seeds as a cleanser. Garlic can either be consumed in food or used as a topical treatment (a paste) to prevent acne. You can also rub raw garlic on the skin to destroy bacteria. According to The Doctors Book of Home Remedies, wash back with yoghurt to get rid of acne. Apply yogurt to your face with a cotton ball and leave on for 10 minutes. Yoghurt has lactic acid that gently exfoliates the skin, removes dead skin cells, dirt and excess oil. Back acne can be more challenging to manage as compared to facial acne, as the skin on your back is thicker and has larger pores than facial skin which makes it easier for them to become clogged. Moreover, back is often clothed and constant contact with the oil it produces. Avoid touching the affected part of body with dirty hands. To prevent the oil glands from becoming clogged, it is advised to put on loose and breathable clothes. Fabric such as cotton should be worn, so that it doesn’t irritate the skin. Ascertain that you shower immediately after working out or when you sweat profusely. To avoid contact with acne causing bacteria, make sure that your bedsheets, blankets, pillows and other clothes are clean. If you find it difficult to control back acne or if unsure whether you have another condition, it is advised to check with your doctor.